Names will be flying higher than ever this season with the Burton Name Dropper Snowboard, a park rider favorite that gets a whole Pure Pop cambered rocker profile for more life and more air. 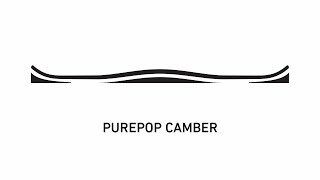 Not quite a cambered profile, the Pure Pop shape has flat areas in the contact zone for a less hooky feel and even better pop. 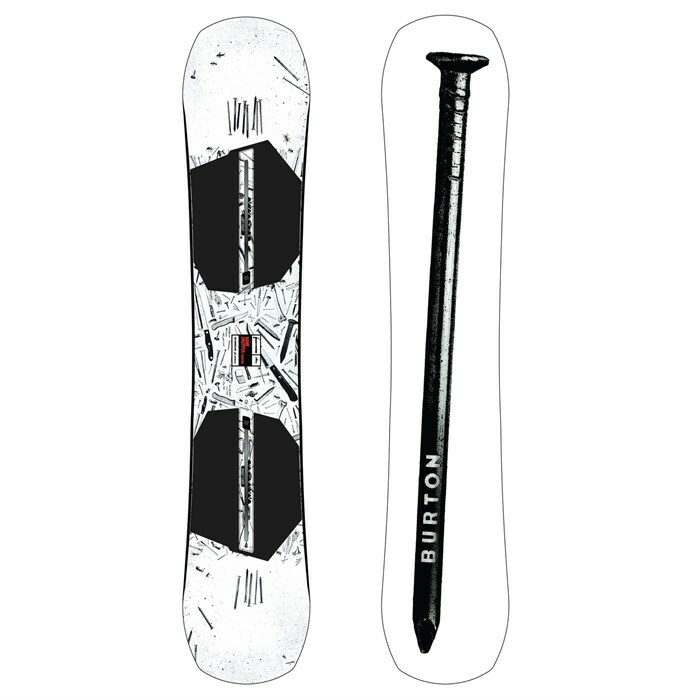 Burton builds this excellent board around a Super Fly 800G core with Off Axis Filet-O-Flex for less hookiness and improved butters and spins. Filet-O-Flex™  Some riders want a more flexible board without sacrificing performance. Filet-O-Flex solves that challenge with ultra-thin profiling that creates soft boards that rip with maximum stability, durability, and grip. An additional benefit is subtle suspension and underfoot padding. Dualzone™ EGD™  The wood grain is positioned along the toe and heel edges on two continuous zones, perpendicular to the rest of the wood core for consistent edge-hold and added strength. Triax™ Fiberglass  Versatile flex and response for everything from mini to mega shred. Sintered  Dense and durable but porous enough to hold wax well, sintered bases require some maintenance but make up for it in speed and ride quality. Off-Axis Frostbite Edges  Introduced by Burton long before all the hype about wavy "serated knife" edges, Frostbite extends out slightly beneath your bindings for tremendous edge-hold on hard, icy conditions. Powerful when you need them, playful when you don't, Frostbite Edges are hungry for hard-pack while remaining smooth, slowing, and forgiving. Infinite Ride™  This Burton-exclusive technology allows maximized pop and strength by overbuilding the board, then putting it in a machine that breaks in the board for you. Whether you choose to ride Flat Top, Flying V™, or Camber, rest assured that with Infinite Ride™ your board will maintain its flex, pop, and feel from the first day forward, season after season.